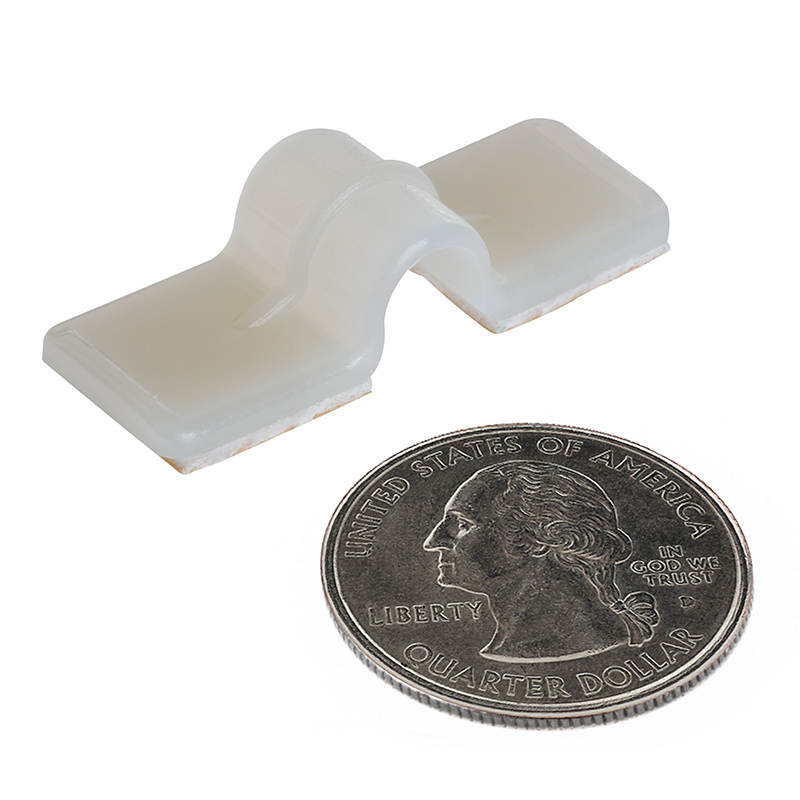 Adhesive Backed Wire Clamp - 1/4" Bundle Diameter 1/2" Wide: Shown Holding Wires. 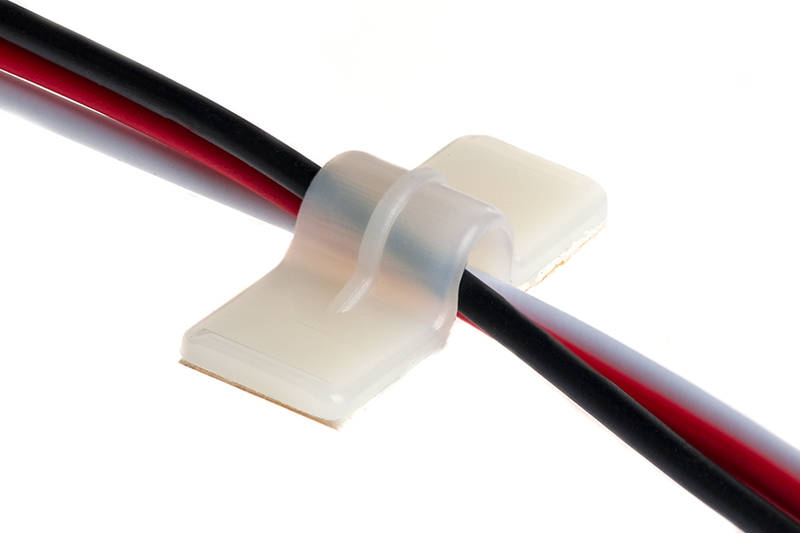 Adhesive backed 1/4" bundle diameter wire clamp for quick and neat wire and cable management. 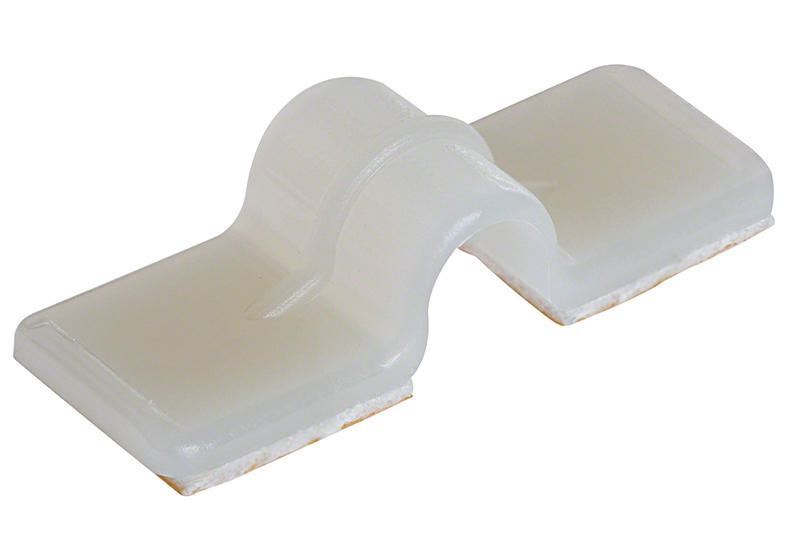 Molded natural color nylon clamp with 1/32" thick adhesive polyethylene foam tape installs securely to clean, smooth surfaces. For wire or cable bundles up to 0.25". Clamp measures 1.38" long x 0.5" high x 0.5"wide. Price per clamp.